Valencia Therapist: Sandra Santana - Therapist 91355. Send A Message To Dr. Santana. Dr. Sandra Santana has been in practice for almost 20 years and received her doctorate from Rutgers University, one of the top Psy.D programs in the country. Since graduating in 2000, she has treated children, adolescents, adults and the elderly in different settings, including mental health centers and community health centers. As such, she has experience in working with different types of issues, whether it's related to family, couples, physical conditions or addictions. At this time, she is focused only on adolescents and adults but because of her extensive training and experience with different populations, she is able to utilize her skills to help her clients. Dr. Santana specializes in cognitive behavioral therapy, which is the most effective type of treatment for depression and anxiety. Therefore, if you are suffering from grief, depression, panic attacks, phobias, obsessive-compulsive disorder, and Posttraumatic Stress, she will be able to help. Although she does believe that the past can affect the present and that processing the past is an effective way to heal, she also knows that it is important to learn the coping skills to manage today's issues. These skills include changing certain behaviors, challenging and changing negative self-talk, learning communication skills, setting limits with others, and finding a balance in one's life. Depending on what the client wants to work on, she will tailor these and other skills to the individual client. She has seen time and time again how these skills, which no one has ever taught us, make such a difference in people's lives. 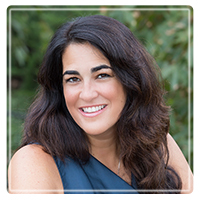 Dr. Santana is known to be compassionate and empathic who provides a place of safety for her clients. She does not judge. She knows how difficult it can be share painful experiences, especially ones that have never been talked about before. She also knows how hard it is to ask for help and to work on oneself. As such, she tailors her treatment to the client in front of her. Sometimes she will listen and help the client process difficult feelings or she can be more direct if needed. Regardless of the focus, she does believe it is important to work as a team, where the client has input into his or her treatment and with the therapy process in general. She also expects her clients to put full effort into the treatment knowing that the outcome will greatly improve. With regards to insurance, she is not accepting any at this time, as confidentiality is very important to her. Insurance does not provide confidentiality to their consumers. However, if you have a PPO, she can provide you with a Super Bill once you pay her full fee, which is essentially a receipt with your diagnosis, that you can send to your insurance company. Many insurance companies will reimburse 70-80% of her fee. Please call your insurance company to see how they cover out-of-network providers. Her office is conveniently located off the 5 freeway where it meets with Highway 126. Therefore, she is easily accessible from the Santa Clarita Valley, San Fernando Valley and Ventura County. If you have any further questions or need a consult, please feel free to contact her at 661-432-1194.